The brief was to create a campaign ‘wrap’ + infographic that could be used online or as a large format wall vinyl, with a supporting animation that could be shown on lift screens + online. 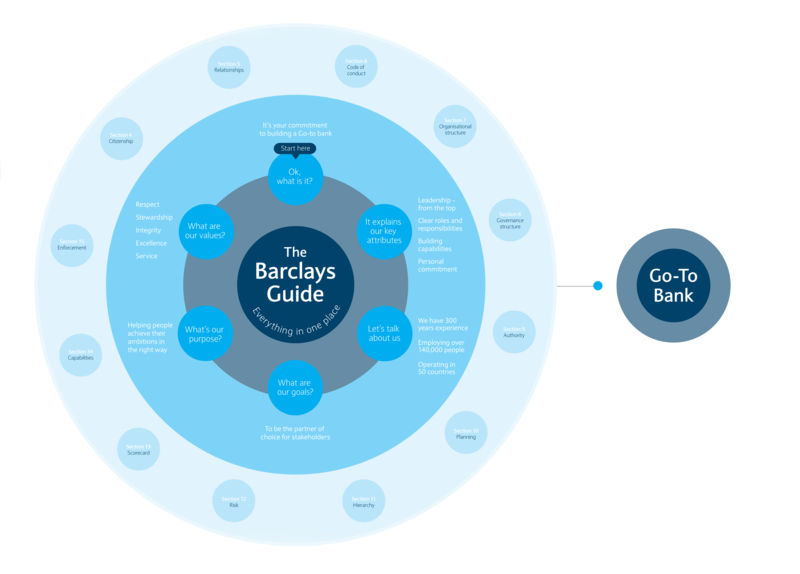 Barclays was changing + becoming a ‘Go-To’ Bank; fuelled by a common purpose of ‘helping people achieve their ambitions – in the right way’. 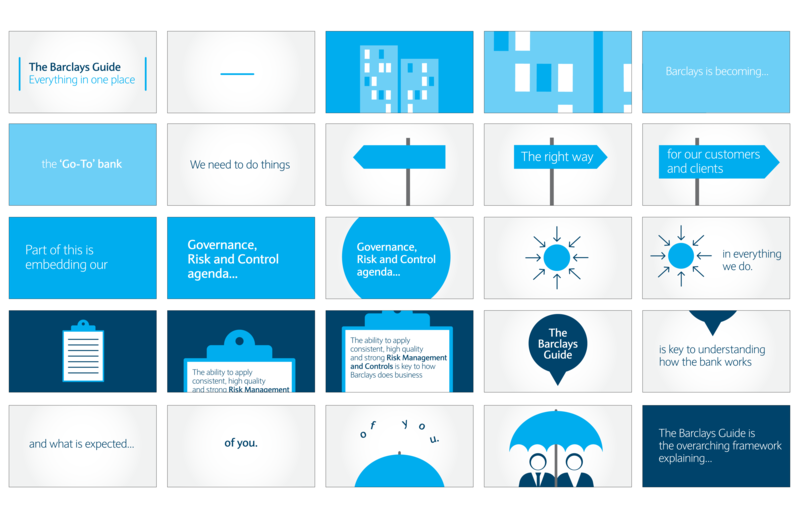 They wanted their employees to live the values that Barclays had set out for itself. 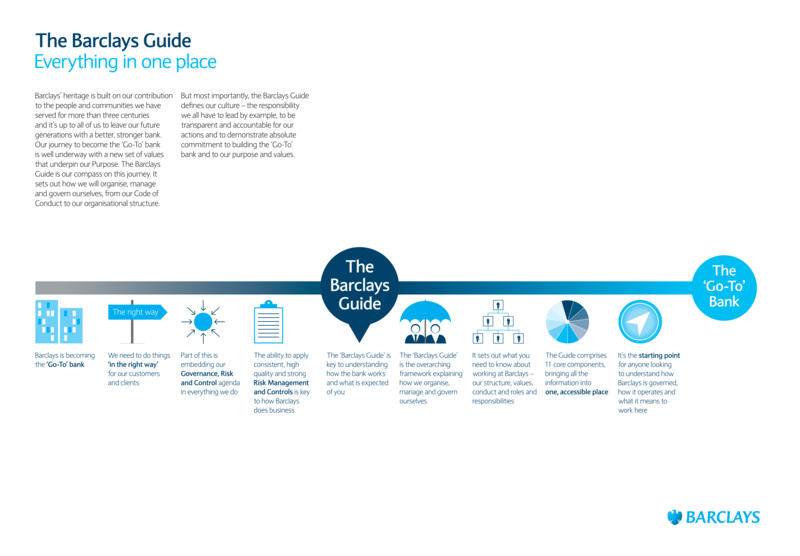 For the first time, all the most important information employees needed to know about working at Barclays were in one place, the Barclays Guide. This was an indispensible guide to becoming the ‘Go-To’ bank. 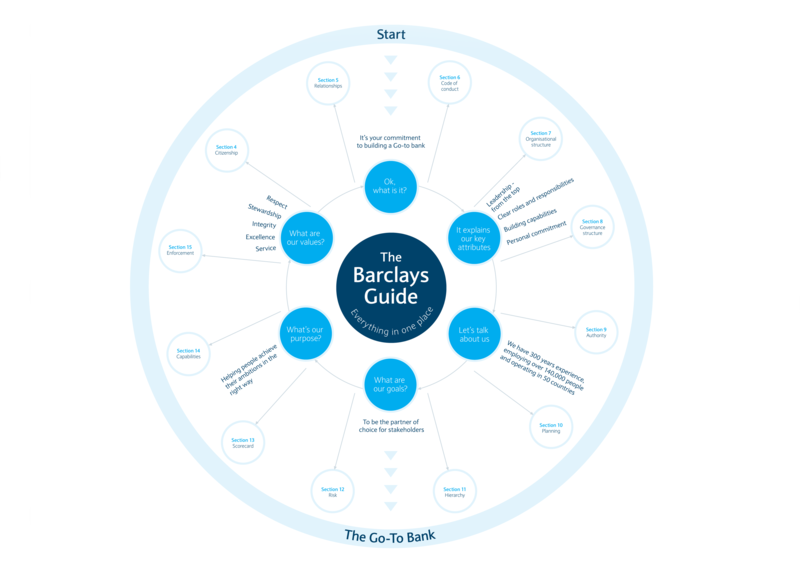 The infographic refined the Barclays Guide into a clear, concentric infographic. The circular options below were previous drafts before working with the client to produce a more streamlined diagram. 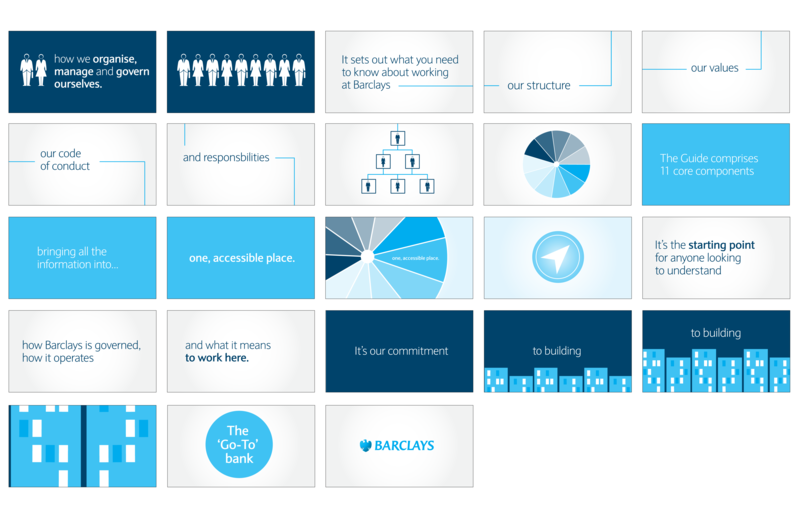 All the icons were drawn from scratch using hues of the Barclays brand colours. 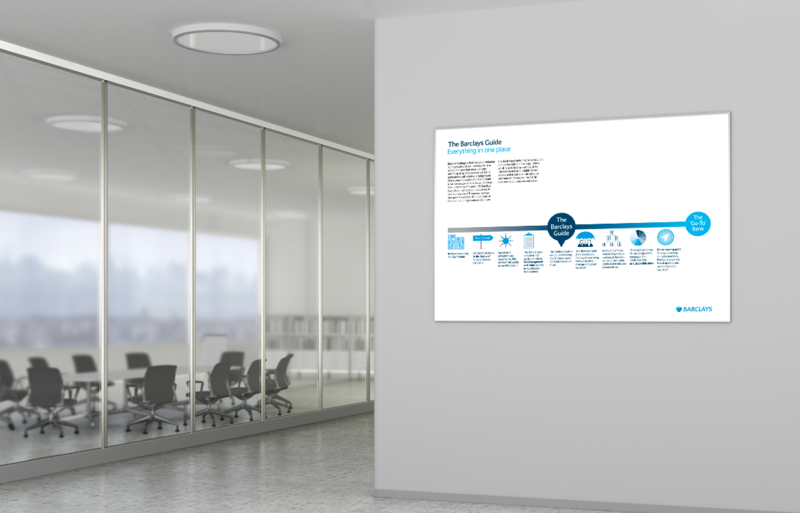 Once the infographic had been finalised, it was supported by an animation to be played in communal areas around the Barclay offices.